Destiny of the Republic NPR coverage of Destiny of the Republic: A Tale of Madness, Medicine and the Murder of a President by Candice Millard. News, author interviews, critics' picks and more. History is but the unrolled scroll of Prophecy. The idea came to Guiteau suddenly, "like a ﬂash," he would later say. On May 18, two days after Conkling's dramatic resignation, Guiteau, "depressed and perplexed . . . wearied in mind and body," had climbed into bed at 8:00 p.m., much earlier than usual. He had been lying on his cot in his small, rented room for an hour, unable to sleep, his mind churning, when he was struck by a single, pulsing thought: "If the President was out of the way every thing would go better." This time, for the ﬁrst time, he hesitated. Despite his certainty that the message had come directly from God, he did not want to listen. The next morning, when the thought returned "with renewed force," he recoiled from it. "I was kept horriﬁed," he said, "kept throwing it off." Wherever he went and whatever he did, however, the idea stayed with him. "It kept growing upon me, pressing me, goading me." Guiteau had "no ill-will to the President," he insisted. In fact, he believed that he had given Garﬁeld every opportunity to save his own life. He was certain that God wanted Garﬁeld out of the way because he was a danger to the Republican Party and, ultimately, the American people. As Conkling's war with Garﬁeld had escalated, Guiteau wrote to the president repeatedly, advising him that the best way to respond to the senator's demands was to give in to them. "It seems to me that the only way out of this difﬁculty is to withdraw Mr. R.," he wrote, referring to Garﬁeld's appointment of Judge Robertson to run the New York Customs House. "I am on friendly terms with Senator Conkling and the rest of our Senators, but I write this on my own account and in the spirit of a peacemaker." Guiteau also felt that he had done all he could to warn Garﬁeld about Blaine. After the secretary of state had snapped at him outside of the State Department, he bitterly recounted the exchange in a letter to Garﬁeld. "Until Saturday I supposed Mr. Blaine was my friend in the matter of the Paris consulship," he wrote, still wounded by the memory. "'Never speak to me again,' said Mr. Blaine, Saturday, 'on the Paris consulship as long as you live.' Heretofore he has been my friend." Even after his divine inspiration, Guiteau continued to appeal to Garﬁeld. On May 23, he again wrote to the president, advising him to demand Blaine's "immediate resignation." "I have been trying to be your friend," he wrote darkly. "I do not know whether you appreciate it or not." Garﬁeld would be wise to listen to him, he warned, "otherwise you and the Republican party will come to grief. I will see you in the morning if I can and talk with you." Guiteau did not see Garﬁeld the next morning, or any day after that. Unknown to him, he had been barred from the president's ofﬁce. Even among the strange and strikingly persistent ofﬁce seekers that ﬁlled Garﬁeld's anteroom every day, Guiteau had stood out. Brown, Garﬁeld's private secretary, had long before relegated Guiteau's letters to what was known as "the eccentric ﬁle," but he continued to welcome him to the White House with the same courtesy he extended to every other caller. That did not change until Guiteau's eccentricity and doggedness turned into belligerence. Finally, after a heated argument with one of the president's ushers that ended with Guiteau sitting in a corner of the waiting room, glowering, Brown issued orders that "he should be quietly kept away." Soon after, Guiteau stopped going to the White House altogether. He gave up trying to secure an appointment, and he no longer fought the press of divine inspiration. For two weeks, he had prayed to God to show him that he had misunderstood the message he had received that night. "That is the way I test the Deity," he would later explain. "When I feel the pressure upon me to do a certain thing and I have any doubt about it I keep praying that the Deity may stay it in some way if I am wrong." Despite his prayers and constant vigilance, he had received no such sign. By the end of May, Guiteau had given himself up entirely to his new obsession. Alone in his room, with nowhere to go and no one to talk to, he pored over newspaper accounts of the battle between Conkling and the White House, ﬁxating on any criticism of Garﬁeld, real or implied. "I kept reading the papers and kept being impressed," he remembered, "and the idea kept bearing and bearing and bearing down upon me." Finally, on June 1, thoroughly convinced of "the divinity of the inspiration," he made up his mind. He would kill the president. The next day, Guiteau began to prepare. Although he believed he was doing God's work, he had been driven for so long by a desire for fame and prestige that his ﬁrst thought was not how he would assassinate the president, but the attention he would receive after he did. "I thought just what people would talk and thought what a tremendous excitement it would create," he wrote, "and I kept thinking about it all week." With his forthcoming celebrity in mind, Guiteau decided that his ﬁrst task should be to edit a religious book he had written several years ago called The Truth: A Companion to the Bible. The publicity it would bring the book, he believed, was one of the principal reasons God wanted him to assassinate the president. "Two points will be accomplished," he wrote. "It will save the Republic, and create a demand for my book, The Truth. . . . This book was not written for money. It was written to save souls. In order to attract public attention the book needs the notice the President's removal will give it." There would be a great demand for the book following Garﬁeld's death, he reasoned, so it should be "in proper shape." As was true of most things in Guiteau's life, The Truth was largely stolen. In a single- sentence preface, he insisted that "a new line of thought runs through this book, and the Author asks for it a careful attention." There was, however, nothing new about The Truth. The ideas, most of them copied verbatim, came from a book called The Berean, which John Humphrey Noyes, the founder of Oneida, had written in 1847, and which Guiteau's father had treasured, believing that it was "better than the Bible." Even The Truth's publication had been fraudulent. Guiteau had tried to persuade D. Lothrop & Co., one of the most respected publishers in Boston, to publish the book, but they had declined. Determined to see The Truth in print, and for it to have the illusion, if not the reality, of respectability, he hired a printing company to produce a thousand copies, all with "D. Lothrop and Company" on the binding and cover page. After trying unsuccessfully to sell the book for 50 cents apiece on the streets of Boston, he left town without paying the printer. The next stage of Guiteau's plan was more difﬁcult than the ﬁrst. If he was to assassinate the president, he realized, he would need a gun. Guiteau knew nothing about guns. Not only had he never owned a gun, he had never even ﬁred one. On June 6, he left his boardinghouse and walked to a sporting goods store that he had spotted on the corner of Fifteenth and F Streets, on the ground ﬂoor of a tavern. Upon opening the door, his eyes immediately fell on a showcase that held a selection of revolvers. He walked directly to the case, pointed to the largest gun, and asked the store's owner, John O'Meara, if he could hold it. He "did not call it by name or ask for any special pistol," O'Meara would later recall. "He examined it carefully, and inquired as to its accuracy, and made a few commonplace remarks." After a few minutes, Guiteau handed the revolver back to O'Meara and told him that he would return in a few days. Two days later, George Maynard, the man from whom Guiteau had borrowed $10 three months earlier, was at work when he looked up to ﬁnd the small, thin man standing once more in his ofﬁce. He had walked in so quietly that Maynard had not even heard him. Looking at Guiteau, he noticed that he held his head at an unusual angle, tilted slightly forward. "He had a peculiar manner," Maynard would later say, "a peculiar attitude, a peculiar walk." What struck Maynard most of all, however, was the desperation he saw in the man standing before him. "The principal thing," he remembered, "was that he looked hungry." Guiteau explained that he had received the $150 he had been expecting in March, but had used it to pay other bills. He was now, he said, awaiting an even larger check, this one for $500. In the meantime, he needed money to pay his board bill. If Maynard would give him $15, he would pay him back the full $25 as soon as he received his next windfall. Although by this point Maynard could not have had any hope of being repaid, he was, as Guiteau knew, "a good fellow." Three minutes after he had walked in the door, Guiteau left with enough money to buy a gun. That same day, Guiteau returned to John O'Meara's shop, as he had promised he would. The last time he was there, he had seen two revolvers that interested him — one with a wooden handle that he could have for nine dollars, and another that cost a dollar more but had an ivory handle. He was drawn toward the more expensive gun, picturing it on display in the State Department's library. Cradling the revolver in his hands, he asked O'Meara about its force. It was, the shop owner said, a self-cocking .44 caliber British Bulldog. "One of the strongest pistols made." After striking a deal with O'Meara — ten dollars for the revolver, a box of cartridges, and a two-bladed, pearl-handled penknife that had caught his eye — Guiteau asked him where he could take the gun to test it. O'Meara warned Guiteau that he would need to leave the city limits, and suggested he try the river's edge. Taking his advice, Guiteau went to the Potomac one evening and shot ten cartridges with his new gun, sometimes aiming for the river, other times trying to hit a sapling growing nearby. Everything about the gun, from the feel of it in his hand to the damage it wrought, was utterly new and unfamiliar to him. "I knew nothing about it," he would later say, "no more than a child." In his letters and, he would later insist, his thoughts, Guiteau never referred to what he was about to do as murder, or even assassination. He was simply removing the president — in his mind, an act not of violence or cruelty but practicality. Garﬁeld was a danger to his party and his country, and God had asked Guiteau to correct the situation. "The Lord inspired me to attempt to remove the President in preference to some one else, because I had the brains and the nerve to do the work," he would explain. "The Lord always employs the best material to do His work." 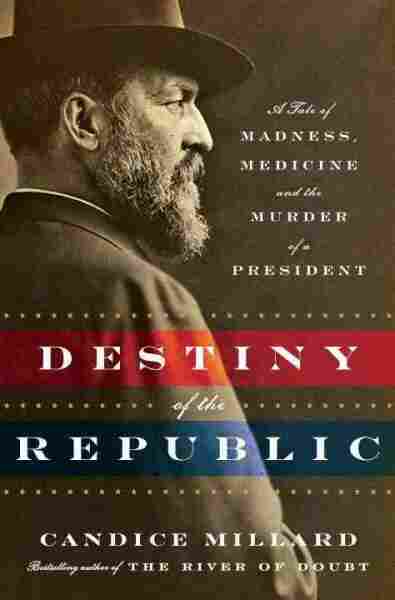 Guiteau had no illusions about what would happen to him after he assassinated the president. He had been twenty-three years old when John Wilkes Booth shot Lincoln, and he could not have forgotten the manhunt that had led to Booth's death. Prepared to kill for God but not to die, his only other option, he suspected, was imprisonment. As he had spent a month in the Tombs, he knew how bad jail could be. He felt, therefore, that it would be wise to make a trip to the District Jail. "I wanted to see what kind of a jail it was," he would later say. "I knew nothing about where it was, nor the character of the building, nor anything." One Saturday morning, Guiteau took a streetcar from the Riggs Hotel as far as he could and then walked another three-quarters of a mile before reaching the prison. Walking "leisurely" to the warden's ofﬁce, he rang the doorbell and waited calmly. When a guard arrived, he asked for a tour. Although the jail did not allow tours on Saturdays, Guiteau felt that he had gotten a good enough look at the building. "I thought it was a very excellent jail," he said. "It is the best jail in America, I understand." Satisﬁed that the prison where he would be taken was far superior to the Tombs, Guiteau had nothing left to do but track down his prey. All the time and energy he had once spent trying to secure an appointment, he now devoted to following Garﬁeld. Guiteau knew that the president, who had no Secret Service agents and was in frequent contact with the public, was an easy target, especially outside the White House. "It would not do to go to the White House and attempt it, because there were too many of his employees about," Guiteau wrote. "I looked around for several days to try and get a good chance at him." Finally, Guiteau chose the one place in Washington where Garﬁeld had always felt safe and at peace: his church. Killing the president in church was not sacrilegious, Guiteau argued. On the contrary, "there could not possibly be a better place to remove a man than at his devotions." Garﬁeld, moreover, could be counted on to attend church. A member of the Disciples of Christ since childhood, and himself a minister, he had faithfully attended the Vermont Avenue Christian Church in Washington since he entered Congress nearly twenty years earlier. He had been an active and involved parishioner, teaching Sunday school and, in 1869, helping the congregation raise enough money to build a larger church. The church's pastor, Reverend S. D. Power, said that he felt God had "a wise and holy purpose" for Garﬁeld "and had raised him up as a Christian leader of a great people." Guiteau knew exactly where Garﬁeld's church was because he had been there before. Several months earlier, drawn to the church out of curiosity, he had watched from one of the pews as Garﬁeld entered with Lucretia and their ﬁve children. Garﬁeld had missed many Sundays since then, choosing instead to stay home with Lucretia during her illness. As she had begun to recover, however, he had come back, grateful to the congregation for their many prayers. Guiteau returned to Garﬁeld's church on June 12. The sermon had already begun, and Garﬁeld had settled into a pew next to Lucretia's doctor and the doctor's wife, when Guiteau stepped inside. Although he was late, he paused at the door, scanning the congregation for the instantly recognizable ﬁgure of the president, who was taller and had broader shoulders than nearly any other man in the church. Quickly locating him, Guiteau noted that he was sitting next to an open window that stood about three feet from the ground. "That," he judged, "would be a good chance to get him." By standing just outside the window, Guiteau thought, he could aim the gun so that the bullet would travel through the back of the president's head and into the ceiling without endangering anyone around him. Although he had his revolver in his pocket and, had he stepped outside the church, a clear shot through the window, Guiteau stayed seated throughout the sermon. It was, Garﬁeld would later write, "a very stupid sermon on a very great subject." Guiteau apparently agreed with the president. At one point, no longer able to restrain his frustration, he shouted out, "What think ye of Christ?" Garﬁeld heard Guiteau's outburst and mentioned it in his diary that night, referring to him as "a dull young man, with a loud voice, trying to pound noise into the question." When the sermon was over, Guiteau had missed his opportunity, but he had not given up on his plan. After watching Garﬁeld step into a carriage and ride away, Guiteau walked to the side of the church to examine the window near which the president had been sitting. Standing in the summer sun, Guiteau could picture the moment when he would raise his gun and take aim. "Next Sunday," he thought, "I would certainly shoot him." Before the next Sunday sermon, however, another opportunity presented itself to Guiteau. On Thursday he read in the newspaper that the president would soon be traveling to New Jersey with his wife. That same night, Garﬁeld mentioned the trip in his diary, writing that, in an attempt to help Lucretia's recovery, "we have concluded to take her to the sea shore for its bracing air." The family, Guiteau knew, would be leaving from the Baltimore and Potomac Railroad Station the following Saturday. A train station, Guiteau thought, might even be better than a church. That Saturday morning he woke up around six, put his gun in his pocket, and walked down to the Potomac to practice his aim one last time. After shooting off another ten cartridges, he made his way to the train station. He arrived before Garﬁeld, and so was able to watch as the president stepped out of the carriage with Lucretia. It was the sight of the ﬁrst lady, Guiteau would later say, that prevented him from carrying out God's work that day. "I was all ready," he said. "My mind was all made up; I had all my papers with me; I had all the arrangements made to shoot him." When he saw Lucretia, however, he could not go through with it. She looked "so thin," he said, "and she clung so tenderly to the President's arm, that I did not have the heart to ﬁre on him." Garﬁeld walked right past his would-be assassin, his attention focused on Lucretia. After returning to his boardinghouse that day, Guiteau wrote a letter to the American people. He had, he explained, "intended to remove the President this morning at the depot," but after seeing Garﬁeld with Lucretia, he decided it would be best to "take him alone." Although he wanted to spare the ﬁrst lady the horror of witnessing her husband's fatal shooting, Guiteau argued that, when he did kill the president, his death would not be any more painful to Lucretia because it was the result of assassination. "It will be no worse for Mrs. Garﬁeld, to part with her husband this way, than by natural death," Guiteau reasoned. "He is liable to go at any time any way." Garﬁeld arrived back in Washington on June 27, in the midst of a heavy storm. He had been reluctant to leave Lucretia, worrying that the "sea air is too strong for her," but he was thrilled by the progress she had made. He also knew that he would see her again soon. In less than a week, while his two youngest boys headed to Ohio for the summer, he would leave for New England with his older sons. The plan was to meet up with Lucretia and Mollie and then go on to Massachusetts, where they would attend his twenty-ﬁfth class reunion at Williams College and help Harry and Jim settle in for the upcoming academic year. Before Garﬁeld could leave, however, he needed to meet with his cabinet. With Conkling out of the way, he had ﬁnally been able to establish a strong, if at times contentious, cabinet, which, as he had always intended, included Stalwarts as well as Half-Breeds. The most prominent of the Stalwarts was Robert Todd Lincoln, Garﬁeld's secretary of war and Abraham Lincoln's oldest and only surviving son. On June 30, as the cabinet was about to adjourn for the last time before the president's trip, Garﬁeld suddenly turned to Lincoln with an unusual question. He had heard, he said, that his father had had a prophetic dream shortly before his assassination, and he wondered if Robert would describe it. Although a private and reserved man, Lincoln agreed to tell the story. After he had fallen asleep late one night, Abraham Lincoln had had a dream in which, he later told his wife and an old friend, there was a "death-like stillness about me." Within the stillness, however, he could hear "subdued sobs." Leaving his room, he searched the White House for the source of the weeping, but every room he entered was empty. Finally, stepping into the East Room, he saw a cofﬁn that was guarded by soldiers. "Who is dead in the White House?" he asked. "Why, don't you know?" one of the soldiers replied. "The President has been assassinated." Lincoln had believed deeply in dreams, seeing in them omens that he dared not ignore. After having "an ugly dream" about their son Tad, he had advised his wife to put Tad's pistol away. Another time, while in Richmond, Virginia, he had asked her to return to Washington after he dreamed that the White House was on ﬁre. When questioned about his belief in dreams, Lincoln had often cited the Bible as support. He pointed to Jacob's dream in Genesis 28, as well as several other chapters in the Old and New Testaments. These passages, he said, "reveal God's meaning in dreams." Although Garﬁeld did not share Lincoln's reverence for dreams, he had had a few that seemed strange or powerful enough to record. In late January, little more than a month before his inauguration, he had written down a dream he had had in which Chester Arthur drowned. He and a close friend, General David Swaim, had escaped a sinking ship, only to watch Arthur, who was lying on a couch, very pale and obviously ill, disappear under the surface of the water. "I started to plunge into the water to save Arthur," Garﬁeld wrote, "but Swaim held me, and said he cannot be saved, and you will perish if you attempt it." It was his own death, however, that was often on Garﬁeld's mind. Although he was by nature a cheerful and optimistic man, like Lincoln, he had long felt that he would die an early death. When his friends tried to talk him out of this grim conviction, his only answer was that the thought seemed to him "as foolish as it does to you." Nonetheless, he could not shake it. "I do not know why it haunts me," he said. "Indeed, it is a thing that is wholly involuntary on my part, and when I try the hardest not to think of it it haunts me most." The feeling, he said, came to him most often at night, "when all is quiet." It was then that his mind would turn to his father, who died "in the strength of his manhood," when his wife and children needed him most. At those times, Garﬁeld said, "I feel it so strong upon me that the vision is in the form of a warning that I cannot treat lightly." The night after his cabinet meeting, July 1, Garﬁeld had dinner with Captain Charles E. Henry, the marshal of the District of Columbia, and invited his guest to join him in the library afterward. As the conversation drifted, Henry would later recall, Garﬁeld began to talk about the times in his life, particularly his boyhood, when he had miraculously escaped death. Just days before, he had received word that his uncle Thomas Garﬁeld had been killed when his carriage was struck by a train, and the tragedy had brought back not just memories of his own near-drowning years before on the canal, but the deaths of his father and children, and Lucretia's recent, nearly fatal illness. As Henry sat in the candle-lit library, listening to Garﬁeld, he realized that he "had never heard him speak . . . in the way he did that night." Garﬁeld was, Henry said, "undoubtedly dwell­ing upon the uncertainty of life." After Henry left, Garﬁeld, wishing to talk to Blaine, decided to walk to the secretary of state's house, just a few blocks away. As the president stepped out of the White House, Charles Guiteau, sitting on a park bench across the street in Lafayette Park, looked up. When he saw Garﬁeld, he stood and began to follow him, staying on the opposite side of the street. He had been sitting in the same park two nights earlier and had watched as Garﬁeld left the White House by carriage. After half an hour had passed and the president had not returned, Guiteau had decided to "let the matter drop for the night." Now, as he shadowed Garﬁeld, he removed the loaded revolver from his pocket, carrying it stifﬂy at his side. When Garﬁeld reached Blaine's house, Guiteau stepped back into the shadows of a hotel alley. Happening to glance out a window, Harriet Blaine caught sight of the president and ran to open the door. As he waited for Blaine, Garﬁeld gave Harriet a present — a bound and signed copy of his inaugural address — and talked to her about the trip he would be making the following day. When Blaine ﬁnally appeared, he and Garﬁeld stepped out together for a walk. From the alley, Guiteau, who had passed the time examining his gun and wiping it down, watched as the two men walked down the street arm in arm, their heads close together as they spoke. Garﬁeld's camaraderie with his secretary of state enraged Guiteau, proving, he said, that "Mr. Garﬁeld had sold himself body and soul to Blaine." Guiteau followed Blaine and Garﬁeld all the way to the White House, his gun at his side. He could have easily killed either man at any moment, but he never raised the revolver. After watching the president disappear inside the White House, he walked back to his boardinghouse through the dark streets of Washington. The image of Garﬁeld and Blaine "engaged in the most earnest conversation" haunted him, and the hesitancy he had shown for weeks hardened into resolve. He would not let another opportunity to kill the president pass without taking it. "My mind," he would later say, "was perfectly clear." Excerpted from Destiny of the Republic by Candice Millard. Copyright 2011 by Candice Millard. Excerpted by permission of Doubleday.